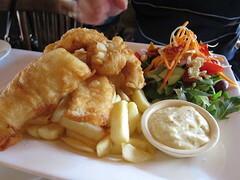 South Society is an all-in-one cafe, bar and eatery, located close to Pinewood Shopping Centre in Mount Waverley. With the amount of new cafes coming up around town, it certainly stands out with its all day breakfast menu, and seasonal menu. 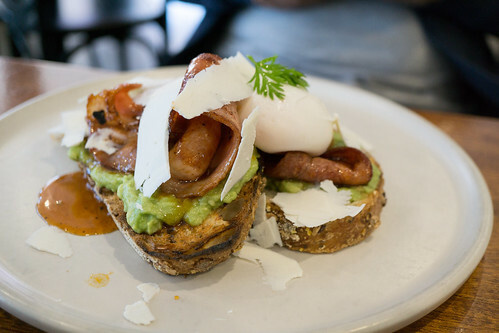 When we dined at South Society we ordered the maple bacon, with avocado and poached eggs. It’s certainly a lovely combination of the sweetness from the maple syrup, the richness from the bacon, creamy avocado and just right poached eggs. 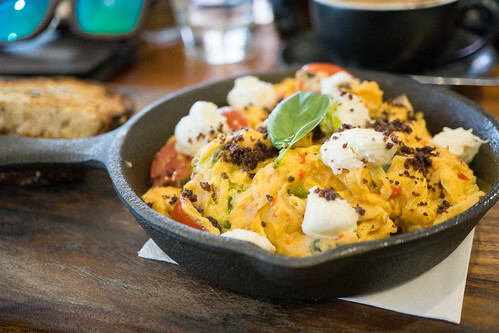 Their Chilli scrambled eggs with goats cheese and olive crumb is an interesting combination. While not being a big fan of olives, it complements the soft and strong flavour of the goats cheese, and the subtle spiciness of the chillies. I wouldn’t say it was amazing by any means, but definitely something different. And with the changing of the seasons comes new menu options. Their current menu still has their Smashed avo and bacon but made slightly differently, and their Chilli scramble turning into a Basil Pesto scrambled eggs which sounds like a winning combination. The menu at South Society has it all, baked eggs, burgers, wings, salads, and seafood. So one thing is for certain, is your spoilt for choice. Initially I wanted to try Shizuku Ramen on Victoria Street, Richmond which is just next door. However, my poor eyesight lead me to Two Hands Bar which interestingly also serves Japanese cuisine. Their menu is a mixture of Western and Asian, also offering a breakfast menu for locals and workers in the area, burgers and also even Korean but in addition as the name suggests it’s a bar as well. Their lunch menu comes with complimentary soft drink or seaweed soup. 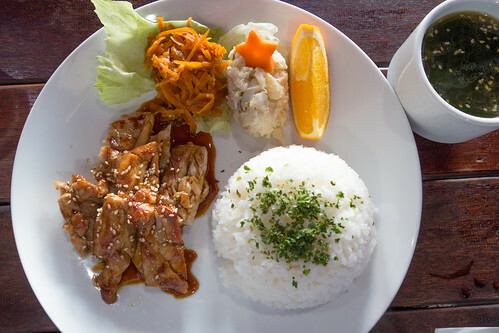 One of their menu items is their Teriyaki Chicken with rice. The chicken is tender and marinated nicely, and comes with potato salad and interestingly dressed shredded carrots. The seaweed soup has a lovely seaweed flavour that isn’t too bold, but I found it just a tad oily. 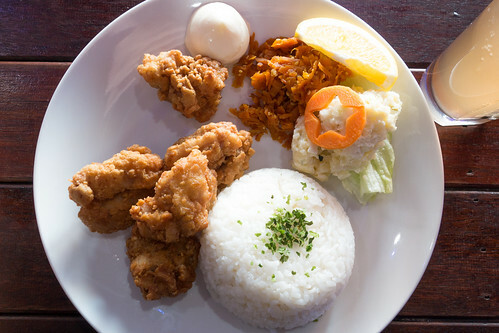 Another lunch item is their Deep Fried Chicken (Karage), the chicken is tender and crispy but requires the combination of mayo to accompany it to bring it all together. Otherwise, it’s particularly dry on its own with rice. As with the Teriyaki Chicken, it comes with the potato salad and carrots. Overall, it’s a decent deal with a drink. 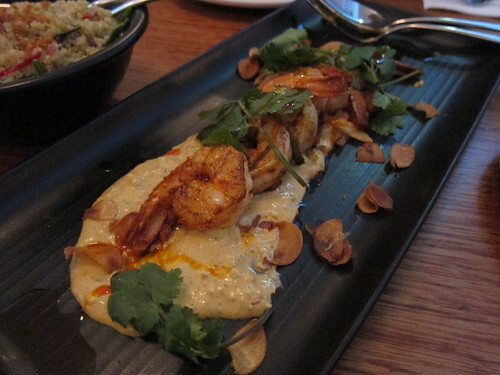 Two Hands Bar doesn’t set the bar high with its food, however,it is quite decent. I haven’t yet tried their burgers, but will definitely try them sometime in the future just to see how they taste like. Finding a good cafe in Box Hill can be quite a challenge. You have the incredibly popular Red Cup Cafe towards the Middleborough Rd end of Whitehorse Rd but if you’ve read my review, you’ll know I was not overly impressed by it. Platform 3 complements the transport hub of central Box Hill, by stylising the place with some train station like aesthetics. 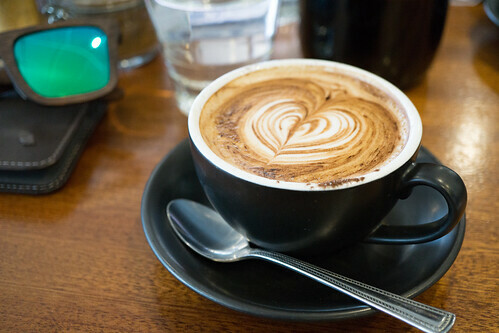 What I like about Platform 3 is that although its located in the old Box Hill Central, it’s still far away enough from the bustling noises of the market and food court that you can relax in a quieter atmosphere with a coffee in hand. Platform 3’s Corn Fritters were favourable in my eyes mouth. The corn flavour comes through the fritter quite well, it’s not dry and fried just enough. 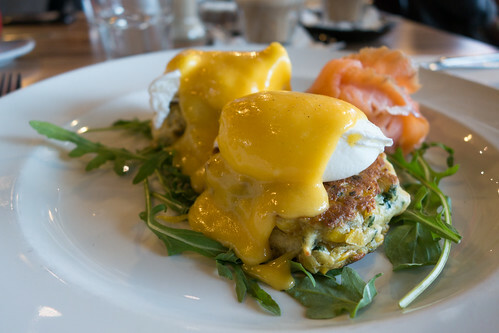 The addition of salmon and the poached eggs with hollandaise sauce give it that extra punch. I love a poached egg done well, and here it’s how you’d want it. Would definitely order again. Platform 3’s Big Breakfast can certainly be for two, but for one on a healthy appetite this meal can go down well. 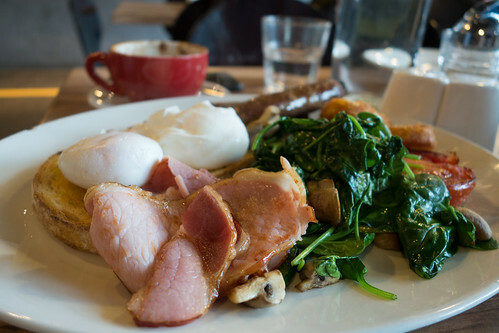 Comes with bacon, spinach, tomatoes, sausages, mushrooms and your choice of how the eggs are cooked. It really has everything you’d want and cooked well too. Enough seasoning to go round, it’s happy days for me with this one. While I’m quite fond of their breakfast menu, I haven’t yet delved into their lunch menu. Platform 3 not only do breakfast and lunch but they also have a lively night scene, with a bar for the evenings and serving for dinner. I believe it’s the only bar in Box Hill so you may understand the exorbitant prices for some of their drinks. Though it may just be worth it. Mamasita’s popularity never seems to die down. Almost every night, you will find a line forming down the stairs and out into Collins Street, Melbourne. What Mamasita specialise in is Mexican cuisine and catered towards a younger demographic as you will find in the restaurant it feels more like a bar or pub at night. Once you try Mamasita, you’ll understand why people keep coming back for more. The Pancita de cerdo ($25) was probably my favourite of the night. 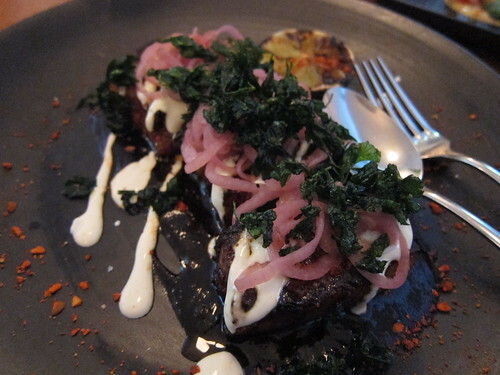 Basically it’s Guajillo braised pork belly with habanero cream, fried parsley & dressed with lime juice. The pork belly was amazing, succulent and tender. How it should be. Complementing the dish with the preserved onions, sauce and slightly crunchy parsley it certainly is a delight to eat. I’d also say this was much more satisfying than the prawns. You can’t go to a Mexican restaurant and not order either a taco or quesadilla. 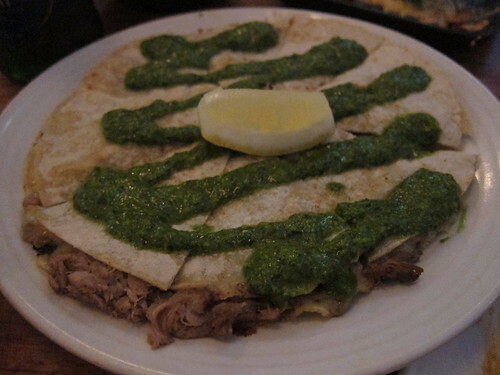 Here is their “de Cordero” ($16), inside the quesadilla is braised lamb with queso criollo (cheese) and with a mint & jalapeño herb sauce and served with a slice of lemon. The lamb here is tender even in its shredded form but I found the flavour from the lamb to be a bit lacking. 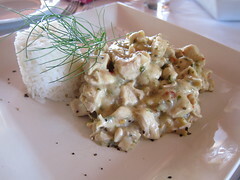 The herb sauce which was similar to a pesto added much needed flavour to the dish. 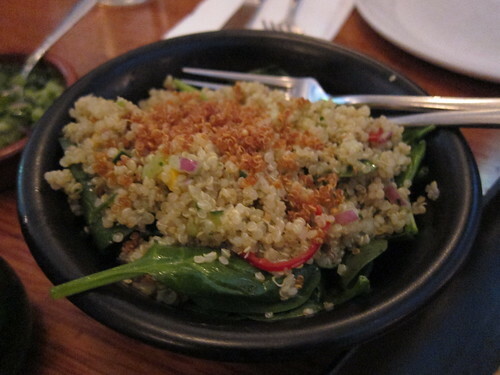 As a side salad, we ordered Ensalada de quinoa ($10) aka Quinoa salad was a pleasant salad. The quinoa still had bite to it, and with the addition of fresh spinach, corn, coriander made this a winner. Atmosphere wise, I’m not fond of restaurants where you have to shout to talk with the person next to you and this is the case here. The other downside is the dim lighting that is prevalent in many restaurants in Melbourne. Other than that, I found the food on the balance of things to be delicious but for the price paid to be slightly over priced and especially so for the grilled prawns mentioned earlier. I can see the attraction to this place but it definitely isn’t my idea of a good evening. Would I come back? I might …but not anytime soon. 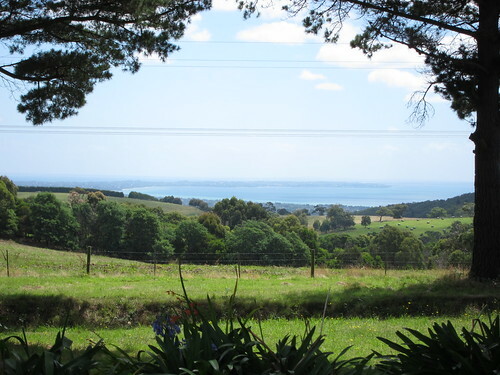 There sure are an insurmountable number of eateries just in the Mornington Peninsula. 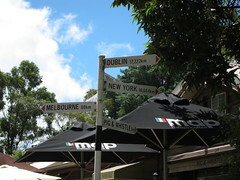 Us Melburnians are definitely spoilt for choice. Mainly wineries were open on the Monday that we decided to take a trip down there, if you come down on a weekend I’m sure it’d make deciding what’s for lunch… or just a snack even harder. I think we bad some bad luck finding some breweries on a weekday though. We tried the Red Hill Brewery but to no avail, it did have a quaint look to it and well I’ve heard some good things about it. 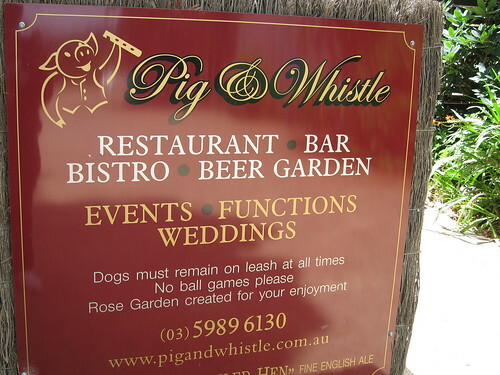 Finally we found a ‘Beer Garden’ called Pig & Whistle, it has that old bar feel to it. A bit country, a bit pub but homely and welcoming is what you get too. 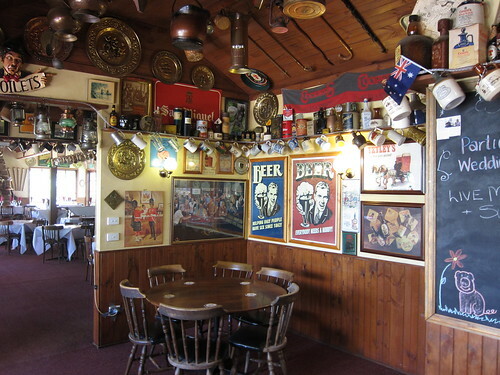 It has two separate areas, one is the bar which serves mainly the alcohol and pub food. The menu looked decent, it had the standard fare of fish and chips, pies and well if I can recall, pizzas. Then there is the restaurant area, which has indoor and outdoor seating. The outdoor seating was plentiful and it actually looked quite nice, plus it was a good day but I do prefer the indoors when eating a meal so we decided to seat inside. 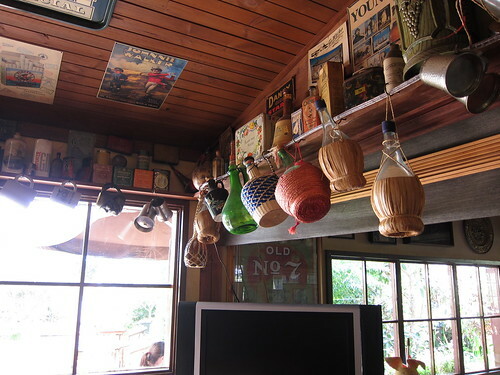 The inside of Pig & Whistle is filled with old mugs and 50s/60s memorabilia, from the looks of it anyway with many posters and frames all hanging around. It has that older carpet/country smell that you get from some B&Bs or a motel but it didn’t really detract from my experience. The menu selection was decent, it had a mix of cultural foods from Italian, Thai, and the Australian/English varieties and local and international alcoholic beverages. 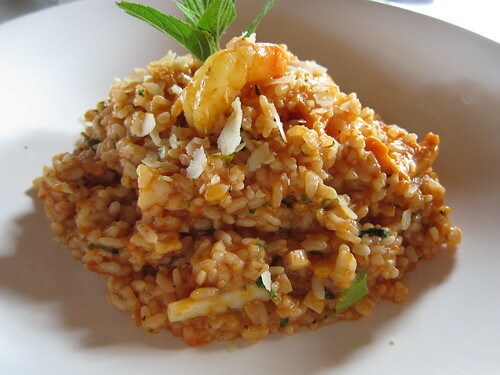 As I have an undying love for all things risotto, I picked a Seafood Risotto as one of the specials of the day. It was really quite good. 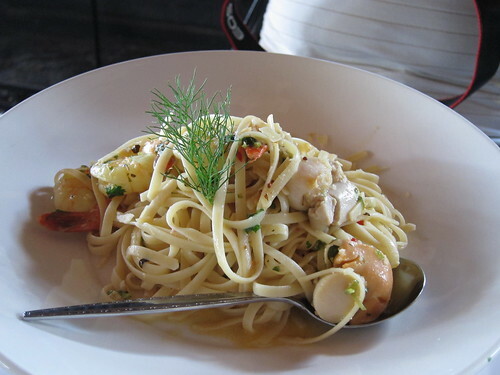 Had a generous quantity of prawns, scallops and mussels (If I can recall) and was seasoned nicely. The rice was cooked well too. It was tomato based with some grated cheese on top and it all worked pretty well. One of the better risottos I’ve eaten, and was pleasantly surprised in the end. All in all, we had a perfectly good meal. Service was decent, it might have come a bit later then we expected but nothing to raise arms about. 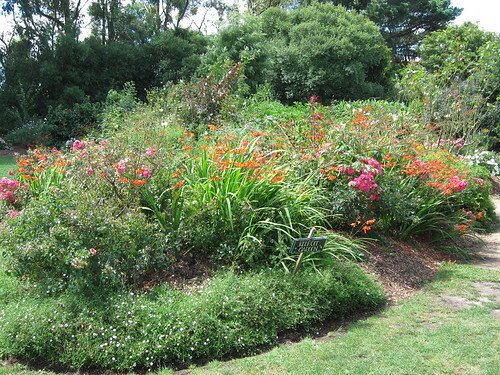 After our lunch, we headed to their garden to check out the views and flowers. The Pig and Whistle definitely has made it’s mark in the area, catering for everything you could possible want. Their dessert menu looked good too but we were stuffed!